Big publishers have to be very happy about how things have been developing in the ebook world over the last six months or so. 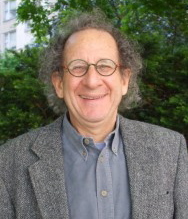 In that time, we have gone from a situation in which Kindle appeared to so totally dominate digital reading that Kindle-only publishing seemed an imminent threat to disintermediate publishers to one where it is not only Amazon’s hegemony that is threatened. Even their position as the ebook market leader isn’t safe. Although one of the big factors in this change, the iPad, was unforseen at the time, we wrote around 16 months ago about the possibility that Amazon’s position leading the pack on ebooks would be hard to defend in one of the first posts on this blog. As the ebook world has evolved (so far), we have the following “facts on the ground.” You will see from this recitation why so many people outside commercial publishing see eliminating DRM as a key to ebook marketplace efficiency. Our guess is that, regardless of the merits of the idea, going DRM-free is a non-starter for the big houses because it will be a non-starter with most big authors and most big agents. 1. If you buy an ebook from the Kindle store, you can read it on many devices within the Kindle reader software. That software is currently available for the iPhone, iPad, iPod Touch, PC, Mac, and Blackberry with Android reportedly on the verge. If the Kindle book has no DRM, though, you can read it on any reader that supports the Mobi format or you can use a program like Calibre to convert your Kindle book to epub, which can be read on just about all other devices. 2. But if you buy an ebook from Kobo or BN (through their “reader” software, not for the Nook), you can do the very same thing (and Kobo’s Android app is at least a bit ahead of Kindle’s; it was announced over the last weekend). 3. If you buy a book from iBooks, the iPad bookstore, you can only read it on an iPad and, soon, on an iPhone. That is, unless it were DRM-free which is, some are told, an option for publishers. 4. If you want to read on a Kindle device, you can only read books you buy from the Kindle store (unless you select from DRM-free mobi files, which leaves out the biggest books). 5. If you buy a Nook, you can theoretically read epub content obtained elsewhere by putting it through its DRM paces at Adobe Digital Editions, but it ain’t easy. My expert on these subjects, Kirk Biglione, points out that this is one of the big advantages of loading devices through wireless means (which sidestep having to deal with ADE) rather than computer synching. Because ADE is a challenge for most people, the interoperability across devices promised for epub files is, for protected files, more theoretical than real. 6. The Sony Reader is like the Nook: theoretically able to handle anything epub but made much more difficult by Adobe DRM. Sony is also suffering at the moment from having no apparent mobile strategy. 7. Bottom line: DRM creates hassles if you try to read on anything except the platform on which you bought. But Kindle, Kobo, and BN Reader (not Nook), provide a pretty seamless experience across devices. 8. The promise of the presumably-imminent Google Editions is that you will be able to read them on all systems that browse the web (except that Kindle’s browsing is not going to provide a terribly satisfying experience and Sony, which doesn’t provide a web browser, is probably left out of the Google Editions party). So the e-ink devices generate the real lock-in, or, more often, lock-out, problem. It is your Kindle device that locks you into the Kindle store; your Kindle file can be ported to a non-Kindle device using the Kindle reader software. This is a mixed, but probably mostly negative, blessing for future sales of Kindle devices. On the one hand, consumers who figure this out will be increasingly unwilling to chain themselves to a reader that makes them buy files they can’t use elsewhere. On the other hand, the spouse of a friend cracked her Kindle a few days ago and because of the hundreds of books she’d bought over the years from the Kindle store, couldn’t really consider purchasing any other reader as a replacement. So she bought a new Kindle. So while the Kindle store almost certainly still has the most titles of any ebook retailer, Amazon is definitely facing some uphill battles selling devices to new customers. Even before the iPad hit in April, DigiTimes reported that Nook devices outsold Kindles in March. (Could this be the power of 700 retail locations talking after the cream of the online customer base had already been harvested by Amazon over the past 2+ years?) Then they reported yesterday that total e-ink monochrome ebook reader sales were 700,000+ for April and May, of which 37% were Nook and 16% were Kindle. In the same two months, of course, Apple reports selling 2 million iPads. So, in two months, iPads outsold Kindle devices about 20 to 1. That means that even if 2 million new iPad owners, on average, buy 1/3 as many ebooks as 700,000 new single-purpose ebook device purchasers, the larger, full-color, web-ready screens sold in the last two months would be responsible for as much ebook consumption as the book-dedicated devices. Meanwhile, the device prices are coming down sharply. Kobo announced a $159 device on sale at Borders a month ago. Since then Borders announced their own branded device for $119. Then Barnes & Noble cut the price of the Nook to $149 for the wifi model and $199 equipped with 3G. Many had been anticipating a price cut before year-end by Amazon from the $259 level they have maintained; but the B&N move forced their hand and Kindle just announced they were coming down to $189. Because aside from all the competition that Kindle faces on the device side, the Agency model has made it harder for them to keep customers loyal with a pricing advantage on the biggest books. What this adds up to is that a much more diversified marketplace is developing for ebooks than publishers would have dared hope for a year ago. This, in turn, makes the customized ebook offering that Ingram is enabling (as they announced last week in a deal with F+W) even more powerful, because more and more devices — and therefore consumers — will be able to readily take advantage of ebook offers that aren’t served up from the Kindle store. Since one of the great unmet challenges of book sales on the web is merchandising — making it quick and easy for consumers to find what they want — curated offerings on specialized sites might really work better for a lot of people. And then Amazon will feel some of the pain that big publishers do, being horizontal in an increasingly vertical world. On the other hand, big publishers have apparently lived past the danger of a massive problem: the possibility that authors could find most of their audience by setting up with Kindle alone. There is still more complexity to be added. Google will arrive shortly with a big splash. Newcomers Copia (a client of Idea Logical) and Blio are still planning market entries in 2010, and they each have some unique propositions the current players do not. 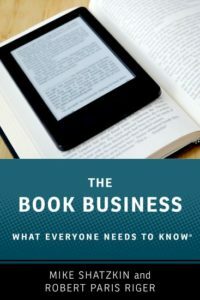 The more different places an ebook might successfully be sold; the more variety in the way ebooks get merchandised; and the more benefit that can accrue from effective distribution of files and metadata; the more a publisher with some savvy will look like a sensible option to an author who might be thinking of a do-it-yourself effort.